Anselm’s Individualist Account of Atonement? Nope. St. Anselm of Canterbury is almost universally recognized as one of the greatest theological lights of the Western church. This also makes him, along with Augustine and a couple others, one of contemporary theology’s favorite whipping boys. His theological legacy is most commonly linked to two subjects in popular mind: the ontological argument for the existence of God, and the so-called satisfaction “theory” of atonement. Both run in for heavy fire. For instance, have a problem with the Western tradition when it comes to God? 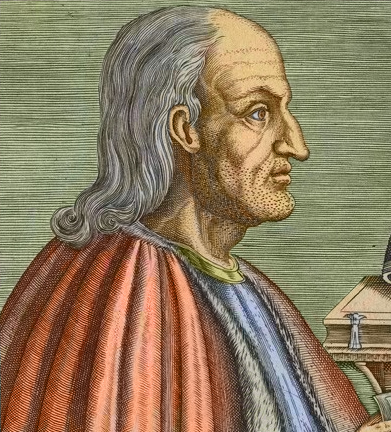 Blame Anselm for his attempt to formulate “perfect being” theology via logical argumentation in the Middle Ages. It’s that simple. I mention this because people who have problems with satisfaction or its more Evangelical descendent, penal substitution account, blame it on Anselm’s logic-chopping and his mindset anchored in the feudal world for reducing the accomplishment of the cross to satisfaction and nothing else. While there’s something to the charge that the feudal setting influenced Anselm’s formulation, one of the silliest charges I’ve seen crop up against him lately is to say that the account of this premodern medieval theologian is the root of individualistic accounts of sin. Now, I’ll agree that Anselm’s un-mooring of the Scriptural logic from its thicker narrative and cultural context can be problematic. But honestly, can anyone read this passage and tell me we’re dealing with an individualistic account of salvation and sin? Heck, jump ahead and you’ll find this in Ireneaus and most of the other church Fathers who don’t get tagged with the “individualism” charge. What’s more, classic penal substitution theology follows him in this via refinements in covenant theology. Adam and Christ are covenant heads whose sin (in the case of the former) and redemptive, holy death (in the case of the latter) have corporate effects for those whom they represent. Read Calvin, or most of the other Reformers and you will not find some atomized theology of merely individual salvation. Yes, each individual is the object of God’s saving grace, but they are so through the union the Mediator of the New Covenant (a very corporate structure). Now, given then way pop-Evangelicalism has individualized everything, sure, I can definitely see satisfaction and penal substitution accounts being taught in individualistic fashions. That said, there is nothing inherently hyper-individualistic about either of these approaches. Again, while there’s probably plenty to critique about Anselm’s discussion of the satisfaction element in the atonement, individualism is one charge we should probably leave behind. The bit about his unmooring the atonement from its larger Scriptural narrative and context you mention really nails a legitimate critique of Anselm. Having said that, though, Anselm’s writings exhibit more of a neoplatonic exercise in mysticism, where the mind arises to the highest form of the good, Goodness itself – and his theological conclusions basically follow that. In short, he concentrates on God as the highest good and basically develops his conclusions via that route. That’s how I see it, in brief anyways. David Bentley Hart sees Anselm as firmly in the Christ’sVVictor tradition, but its a pretty unconvincing tho typically verbose argument. Are you familiar with TF Torrances thought on Anselm’s theological method? On Hart: Really? CV is there, but it’s definitely a legal view. On Torrance, no, I’m not. Curious about Barth’s reading of his ontological argument, though. And thanks for the link and the quote. No probs. I’d be interested in what you think about Harts article. I ran it by some Orthodox friends of mine and they were less than impressed. Well, that was interesting to say the least. I was glad to see him acknowledge that Athanasius also clearly had a form of a satisfaction account going on as well. I’m curious what your Orthodox friends thought of it. I’m also curious what Hart and all of these types do with all of the language of wrath and judgment w/ respect to the Law in the OT that is pretty easily linked in the NT to Christ. Honestly, I read critiques, and I get it, but at times our ability to ignore or read past very bright lines of thought in Scripture is amazing to me. Hart, to paraphrase my Orthodox friends, doesn’t really get too much into the text of Anselm, and ends up just bending Anselm to fit his interpretation of Anselm. I lean towards that being accurate – it does tend to feel like Hart is simply redefining Anselm to be in line with patristic thought. Its a bit of fancy footwork on Harts part. You might like this article by my buddy Gavin Ortlund. It’s a defense of Anselm from some heavy criticism that takes up the Irenaean/Athanasian resemblance note. I’ll get into that tomorrow sometime, thanks. I read recently an essay arguing against PSA themes in the early fathers, I’ll try and find that – it was in reference to that ‘Pierced for Our Transgressions’ book that came out some time ago that Wright wrote against. Yeah, that’s the one. I didn’t know there was a reply, I’ll look into that tomorrow as well. Also, Hart gets a lot of flak from the Orthodox for being pretty sympathetic to more Latin theology. One of my friends almost thinks he’s a closet Thomist. I’m not really convinces by the satisfaction account he finds in Athanasius, which I think is just more of him trying to make the facts fit his interpretation. It’s not strict satisfaction, but there is definitely a penal element there with the Word bearing the promised curse of death in himself according to God’s own promise. Oh absolutely. But I don’t know how accurate it is to put that under even a broad/less strict interpretation of satisfaction when it seems to come more in the context of healing/Christus victor. Bearing the curse seems to be less about satisfaction and more about destroying the curse/death itself, you know? So, one might may, those who criticize Anselm (and penal substitutionary atonement) for oversimplifying/individualizing the atonement, are themselves oversimplifying Anselm and penal substitutionary atonement?